Katie was born and raised in Phoenix Arizona. She comes from a family of seven siblings, with six of them being sisters. Katie went to Highland High School in Gilbert and graduated in 2000. She still lives in Gilbert with her husband of almost 9 years. Between the two of them, they have a family of three girls, with one of them also attending Highland High School. worked as a dental assistant for a few years before she was crossed trained in the front office and is now an office manager. If you ask Katie why she loves working in a dental field, she will tell you, “She loves to assist patients in making them feel comfortable and knowing they are in good hands.” Katie’s main goal is to see every patient leave with a confident smile. When not at work you will find Katie loves to spend as much time with family, working out, and reading as many books as possible. Aaron was born in Erie, Pa in a small town called North East and lived there until the age of 6, when he’d then moved to Pittsburgh. Aaron can be found hanging out with friends on the weekend and either playing basketball for hours on end or relaxing playing video games. Aaron found his way to dental assisting through his best friend who’d enrolled in adental assistant program and told him to sign up as well. He’d always wanted something health related and dental assisting piqued his interest. Now he is happy to work with Dr. Kaur and start his career. Izzy is originally from San Luis, AZ. She earned her dental assistant certification from Carrington College and has been assisting doctors for four years. She recently graduated from Phoenix College with an Associates Degree in applied science. She is currently attending ASU to further her education in dentistry. Izzy is bilingual and speaks Spanish fluently. 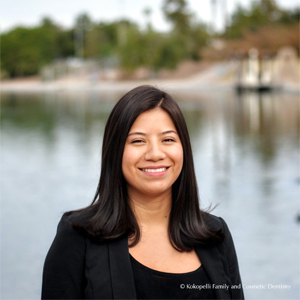 She loves her job because dentistry is about helping patients stay healthy and feel confident with their smile. When she is not working, she loves spending time outdoors hiking and kayaking. Anthony is originally from Elkhart, Indiana. He moved to Maricopa, Arizona in 2013 with family. 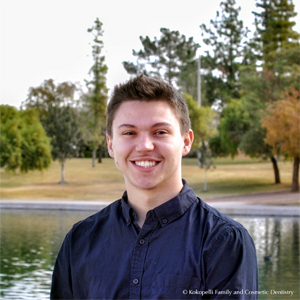 Anthony graduated from The American Institute of Dental Assisting in 2015 and has worked in the dental field since. 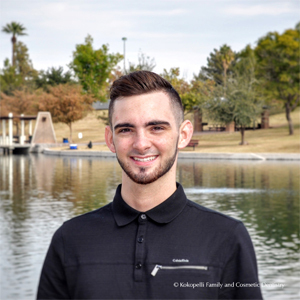 Anthony has joined the Kokopelli Family in November of 2018 as our Lead Assistant. During his free time, he enjoys hiking the many trails of Arizona or taking long car rides exploring this adventurous state. 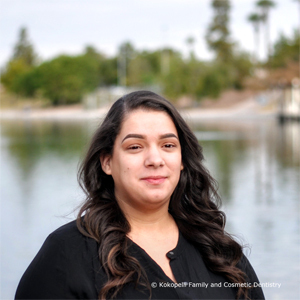 Toni was born and raised in Arizona along with her two sisters and two brothers. She graduated from Sun Valley High School and started working in the dental field shortly after graduation. Toni has been married for four years and has three stepchildren. Toni and her family still live in the Phoenix area. Toni loves working in the dental field because she loves making people smile and meeting new people. 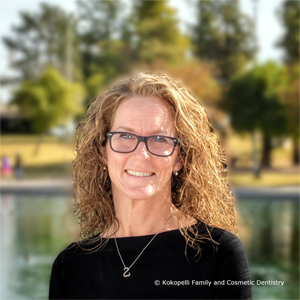 She joined the Kokopelli Family as our Patient Care Coordinator in August of 2018. In her free time, Toni loves to spend time with her family, go shopping, and enjoy outdoor activities.